Sony admits losing money on every TV it makes; plans "different kind of TV" | What Hi-Fi? 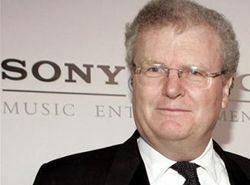 Sony admits losing money on every TV it makes; plans "different kind of TV"
Howard Stringer, CEO of Sony, has said the company is working towards "a different kind of TV set" after admitting it loses money on every TV it makes. Stringer, speaking to The Wall Street Journal, said Sony has been planning a four screen approach to television that includes mobile devices and tablets. The new platform for Sony was, Stringer said, driven by a determination to compete with Apple. “I spent the last five years building a platform so I can compete against Steve Jobs. It’s finished, and it’s launching now,” Stringer said. And while Sony recently projected a $1.2 billion loss for the year ending in March, Howard Stringer suggested it's not just Sony's TV division that's struggling. "We can't continue selling TV sets [the way we have been]. Every TV set we all make loses money," he told the WSJ. It remains to be seen the exact details of the "different kind of TV" that Sony has in mind but you can our review of the new Sony Tablet S in our December issue, out November 16th.